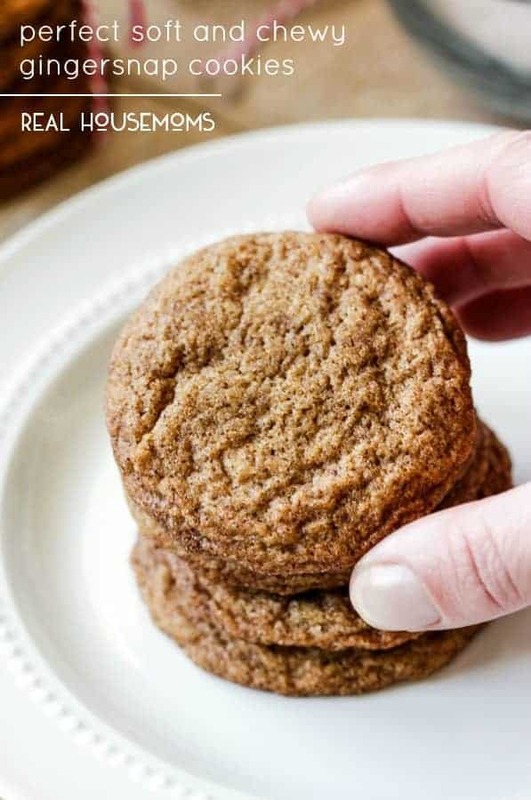 These mega SOFT AND CHEWEY GINGERSNAP COOKIES infused with deep, rich molasses, ginger, cinnamon and cloves is the only gingersnap recipe you will ever need! 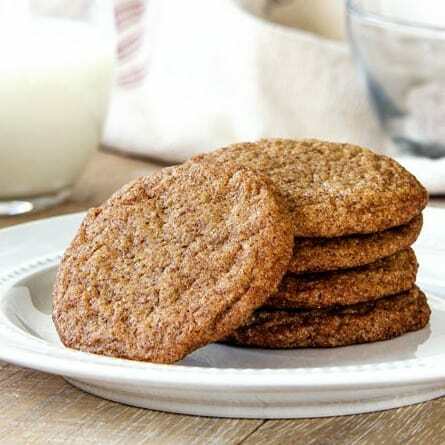 I am in love with gingernsap cookies, or more accurately, I am in love with these Soft and Chewy Gingersnap Cookies! With just a few minor alterations, this cookie recipe is a family favorite on my husbands side since 1979. It has made generations of family, friends and neighbors smile with cookie cheer and later begged for the recipe. 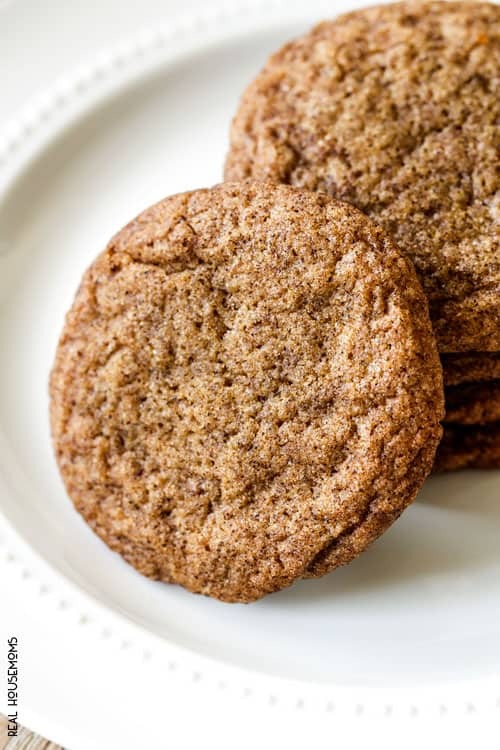 The dough is not only perfectly spiced but also gets rolled in cinnamon and sugar that crystallizes as the cookies bake so every bite is melt in your mouth soft and delicious inside with a snickerdoodle outside. 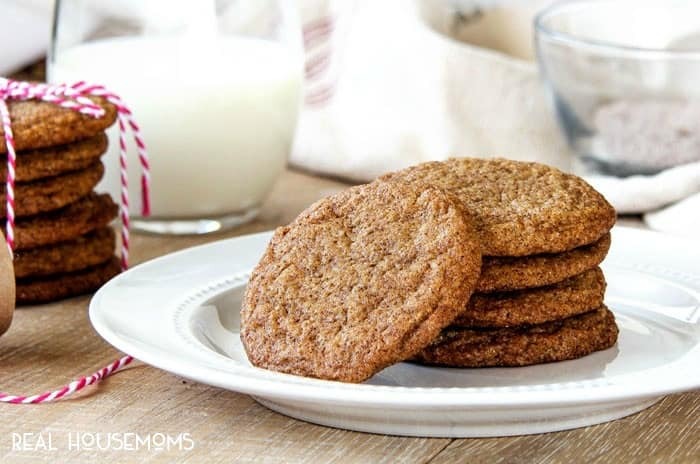 So whether you are gingersnap cookie fan or not, this recipe will have you wishing for Gingersnap Cookies in July! Merry Christmas and Happy Holidays! 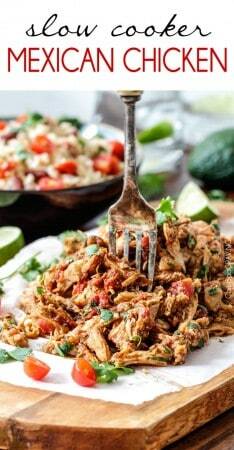 In a medium bowl, whisk together flour, salt, baking soda, cinnamon, cloves and ginger until well blended. In a stand or hand held mixer, cream butter and sugar together for 2 minutes, until light and fluffy. Add molasses, eggs and vanilla and beat an additional minute. 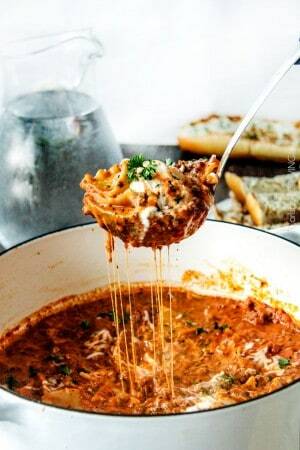 Add dry ingredients and mix until well combined. Refrigerate dough for 30-60 minutes. Mix Snickerdoodle Coating of 1/3 cup granulated sugar and 1 tablespoon cinnamon in a large bowl. Roll dough into balls using 1 heaping tablespoon dough then roll in Snickerdoodle Coating until evenly coated. Place balls 3 inches apart on a nonstick mat or parchment paper lined baking sheet. Bake 350 degrees F for 10 minutes on middle rack of oven. Let cool for 5 minutes then transfer cookies to wire rack to cool. If you like a crispier cookie, simply bake longer. Cook time includes 3 batches of cookies baked for 10 minutes each.